Constructed with injection-molded, high-impact plastic for strength and durability. Forged aluminum shield mount hardware for sturdy mounting. Stainless steel bolts and aluminum washers to prevent rusting. Fits all 1 1/8" and 7/8" diameter bars. 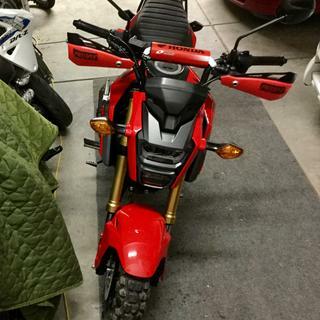 They fit very well on my Honda Grom! Junk, the metal doesn’t extend over your grips and its just plastic than crumples up on your first fall. I didn't want the bark busters so I went with these. They worked great and held up for years. I crashed a lot and had no problem with them conforming back to original. I believe I've had them for 5 years now and could use new plastic pieces but I have yet to break the clamps. I bought these and put them on my bike the first time that I went down on the side on a hill climb it broke. i know you shouldn't crash but it happens. my other bike has the full wrap bark busters and they have never broke no matter what i did. THESE DO A GOOD JOB OF BLOCKING ROOST BUT WOULDN'T RECOMMEND FOR WOODS RACING!! Just received my order and it was fast and well packaged. Will be ordering again. The Pro-Taper Handguard where exactly what I wanted for my ATV. Installed and fit as they should. They are very clean looking. I would buy this product again! these look great on my bike, and they seem to be pretty solid, i`m very happy with them! alright depending what you plan to put them on i have tried to put them on 3 different utility quads and they fit the handle bars just not around the brake lines and electrical etc. Love these...the color is great (yamy blue) and there not too big or small in size...just right! Bought it expecting that it would be a very thick hard plastic there not. it feels like the first time they get hit they will crack or brake. These are light duty brush type hand guards,they are not "Bark Busters" by any means,but if you need a light duty hand guard these are great. Good for what they are. plastic bends easy. like when you catch a branch and pulls your brake lever back. but other than that. works great. They are good and do the job. Only thing I wish I would have read on is that this product doesn't have the aluminum brace that goes across your knuckle area. Looks are awesome but you will have to do a little bending to make fit proper. Put them on my Raptor 700. Fit perfectly. Seem sturdy. Not for really muddy conditions, but definately better than nothing. Pro Taper is always good quality. These things are stout. They keep the wind off my hands, hold up in crashes, and most importantly protect my fingers from those darn rocks at the local MX track! 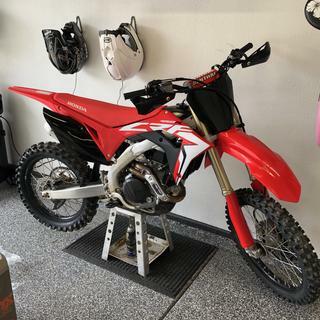 I was worried about buying non-machine specific guards for my Honda TRX450R even though I have a set of Taper fat bars. But these fit perfectly with little adjustment to my controls. Great product and handle bar guards make your quad look trick! the hand gaurds worked well in jagger bushes and light brush as i expected. dont expect the hand gaurds to keep your hands warm. (not big enough)...also, i was little disappointed that the yellow hand guards didnt match the suzuki yellow. 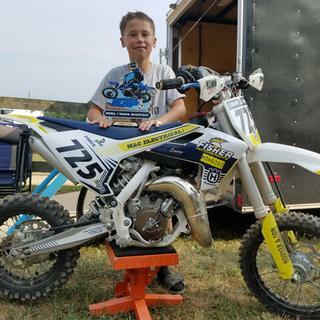 The yellow really looks great on the bike and they are very durable. I have my fenders cut and the shape of the handguards really makes the bike stand out! These really are great hand guards. They are very stiff and the aluminum mount makes them stiffer and more secure than the Acerbis Uniko (they're kinda floppy). Some bush twigs still find their way to my fingers but the shield extenders will fix that. Also the mounts position the guards to make enough room for the levers and your hands. They stay nice and out of the way. I had to file down a piece on my throttle and on my brake. Also had to cut my stock levers a bit so the could fit. Other then that they work good and look even better! 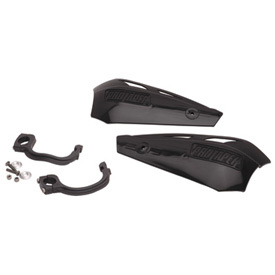 BEST ANSWER: These hand guards are flag style so they are designed to fit 7/8" bars. Which all handlebars are 7/8" at the ends where the controls, grips, and hand guards are mounted.